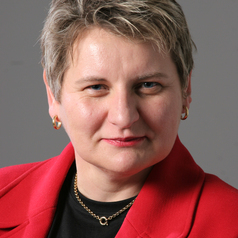 Professor Jo-Ansie van Wyk lectures International Politics at the University of South Africa (Unisa), Pretoria, South Africa. She has completed a D Phil (International Relations) on South Africa’s post-apartheid nuclear diplomacy, and has published on, amongst others, nuclear diplomacy; foreign policy; political leadership; African politics; space politics; and environmental and hydro-politics. She is Fulbright Alumna (University of Delaware, Newark, United States of America) and a Member of the South African Academy for Science and Art. She has been a guest lecturer at the Universities of Johannesburg and Pretoria; and the South African National Intelligence Academy; the South African National Defence College; the South African National War College; and the South African Diplomatic Academy. She has completed consultancies for the World Bank; UNESCO; the Institute for Security Studies (ISS); the South African Department of Foreign Affairs (DFA); and Consultancy Africa Intelligence (CAI). From June 2010 until October 2014, she served on the South African Minister of Trade and Industry’s South African Council for Space Affairs (SACSA). She is a recipient of inter alia, the University of South Africa Women Developing Researcher Award (2012); Academic Honorary Colours (University of Pretoria, 2013); the Bradlow Fellowship of the South African Institute of International Affairs (SAIIA, 2014); and Unisa’s Leadership in Research Women Award (2014). She is rated as a C3 researcher by the South African National Research Foundation (NRF).